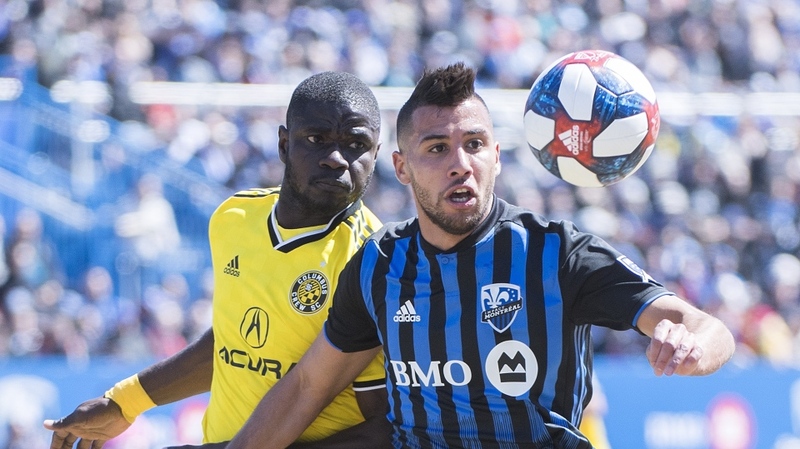 Harry Novillo scored his first goal in Major League Soccer to lead Montreal to a 1-0 victory over the Columbus Crew in the Impact's home opener Saturday afternoon. Evan Bush made five saves for his third consecutive clean sheet for the Impact (3-2-2), who are unbeaten in their last three games. Montreal was coming off scoreless draws against New York City FC and D.C. United on the road. Goalkeeper Zack Steffen made six saves for the Crew (4-2-1), who began the day atop the Eastern Conference. After starting the season with six consecutive road games, Montreal played its first match at Saputo Stadium before 18,634 fans on a warm but windy afternoon. It was the Impact's third game in eight days.